tmactive150 is our community programme, designed to encourage and help local people achieve 150 minutes of moderate activity per week. 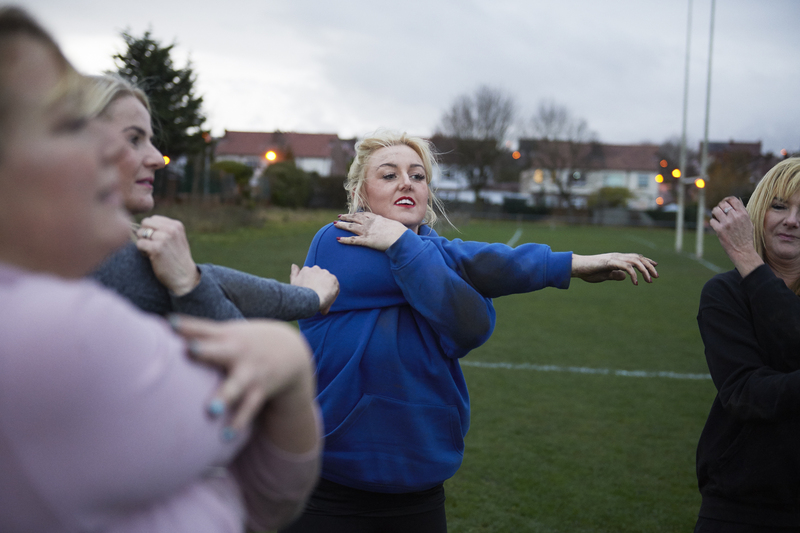 The programme is part of our outreach work, addressing issues and barriers that may prevent local people from participating and enjoying physical activity. We want physical activity to be enjoyed by everyone in 2019. *NEW* STEADY STEPS SESSION @ SNODLAND COMMUNITY CENTRE! Come and join our new chair-based session at the Community Centre and work towards improving your strength, balance and flexibility. The session is suitable for those who are unsteady on their feet or those who have fallen. £3 pay as you go, everyone welcome. For more information please email suzy.abbott@tmactive.co.uk. *NEW* STRETCH & MOVE NOW @ ANGEL CENTRE AND LARKFIELD LEISURE CENTRE! 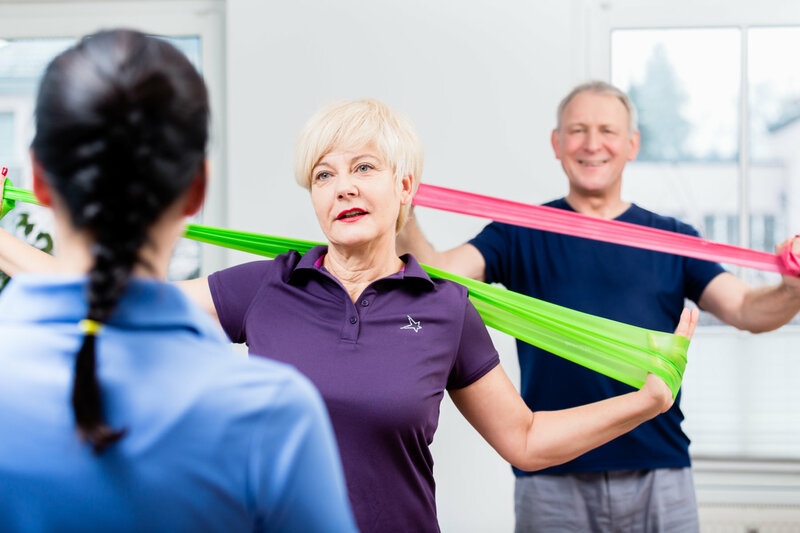 Stretch & Move is a fun, supportive and relaxed exercise class, suited to anyone who is currently inactive due to either mobility or low fitness level. The class includes both seated and standing options and is tailored to suit beginners and wheelchair users too. 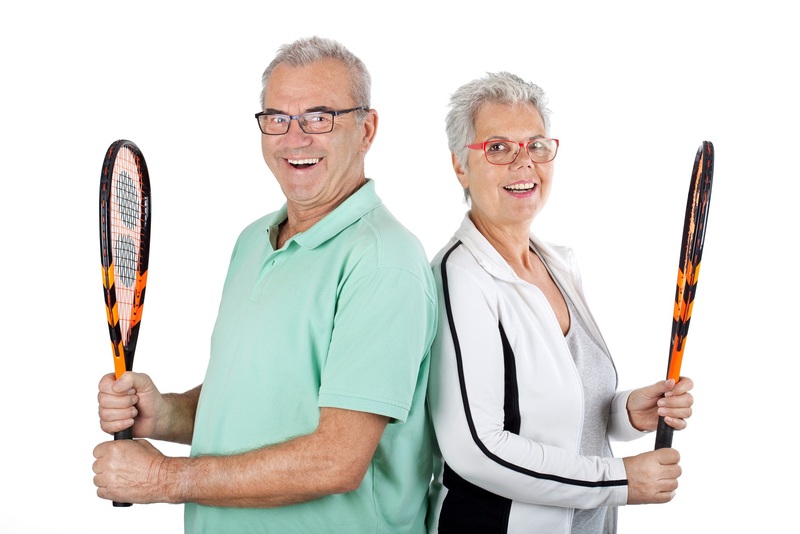 The sessions have proven to help participants with both their physical and mental health and the confidence and ability to participate in physical activity. Please call Angel Centre to book on 01732 359966, or Larkfield Leisure Centre to book on 01622 719345. For more information please email suzy.abbott@tmactive.co.uk. OUR SERIES OF YOGA SESSIONS @ LARKFIELD LEISURE CENTRE! As your little one grows, doing yoga with your toddler is a great way to enrich the bonding process since this is the age of imitation, independence, and rapid brain and body development. Session costs £5. Please call Larkfield Leisure Centre to book on 01622 719345. A welcoming yoga class to help maintain overall mobility and stability through a range of gentle postures, with props and aids where needed. It is for those needing to take time and space to unwind with a gentle practice to reconnect the mind, body and breath. Session costs £3. Please call Larkfield Leisure Centre to book on 01622 719345. Family yoga is a playful way for adults and children to develop a variety of important skills in a nurturing, non-competitive setting. It is for any age and ability. In an environment of total encouragement and unconditional positivity, all the family can relax and have lots of fun. 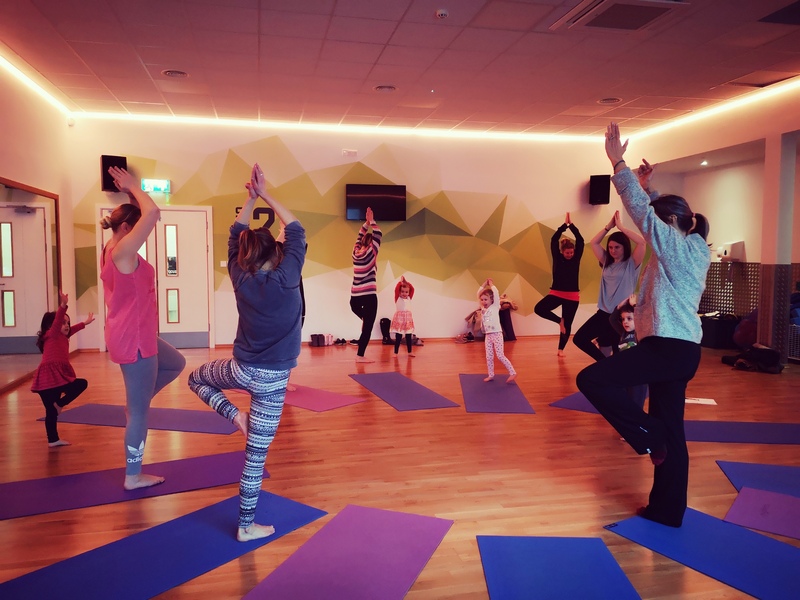 Yoga is great for both physical and mental health, through a host of imaginative games and activities to develop awareness of the mind and body whilst building strength, coordination, flexibility and balance. As your body prepares for baby’s birth day, it’s important to maintain core strength, while improving flexibility, stability and openness in the hips and pelvis. You will also become more aware of your breath and learn ways to control your breathing, something that’s key during pregnancy and labour. When you practice baby yoga with a new-born, the focus is completely on the baby and their body. You speak directly to them and maintain eye contact as you guide their body through the poses, which helps them to feel comfortable and safe. Baby yoga has a lot of similarities to baby massage with a focus on skin-to-skin contact, then you can add the breathing exercises and stretches, as well. It is a whole body and min practice for mum and baby. In partnership with the WI ‘inspiring women’ and England Netball. Walking netball is a slowed down version of netball. 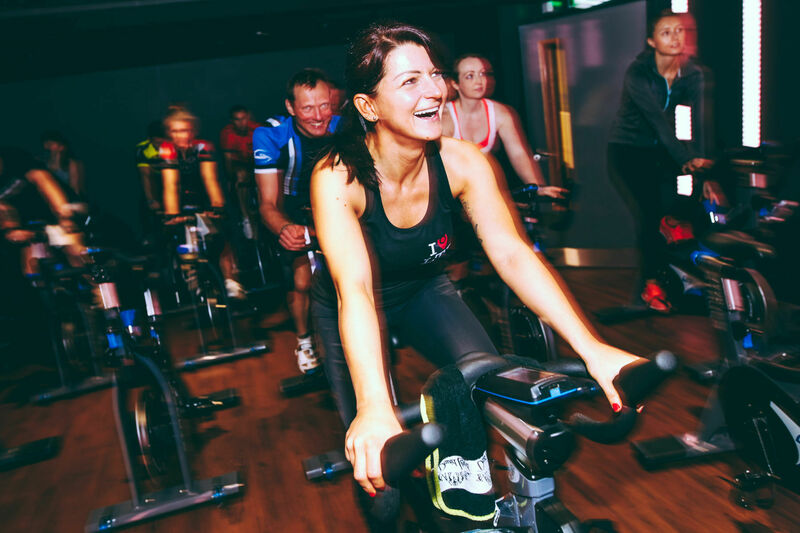 It is for anyone who wants to exercise in a relaxed, supportive, fun, friendly way. It’s for all abilities and every session has a gentle warm-up. So come and get a wiggle and a giggle on. *Please note there will be no sessions on the 11th and 18th April for the Easter holidays. Our Multi-Sport Session takes place at the Angel Centre on the first and third Friday of the month from 2pm to 3.30pm. Sports on offer include golf putting, boccia, cycling on a static bike and table tennis. The instructor begins each session with a warm up and finishes with a stretch. Regular exercise can bring benefits to those in the early to middle stages of dementia. It can improve physical fitness and cognition, and improve the ability to dress, clean, cook or perform other daily activities. Come and join us to increase your levels of physical activity or sustain them. This friendly and supportive session costs £4 and carers go free. Please contact suzy.abbott@tmactive.co.uk for more information or speak to the reception at the Angel Centre on 01732 359966. 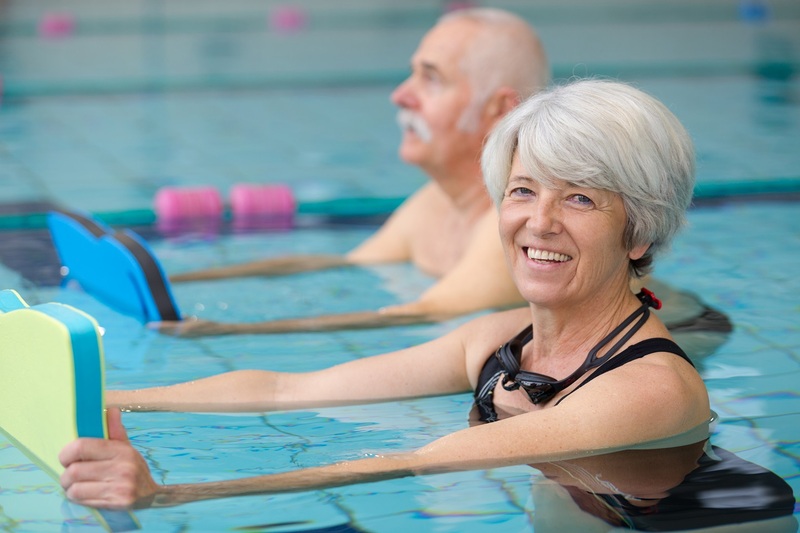 Come and join our Dementia-friendly Swimming Session at Tonbridge Swimming Pool each Friday between 12.15pm and 1.15pm. 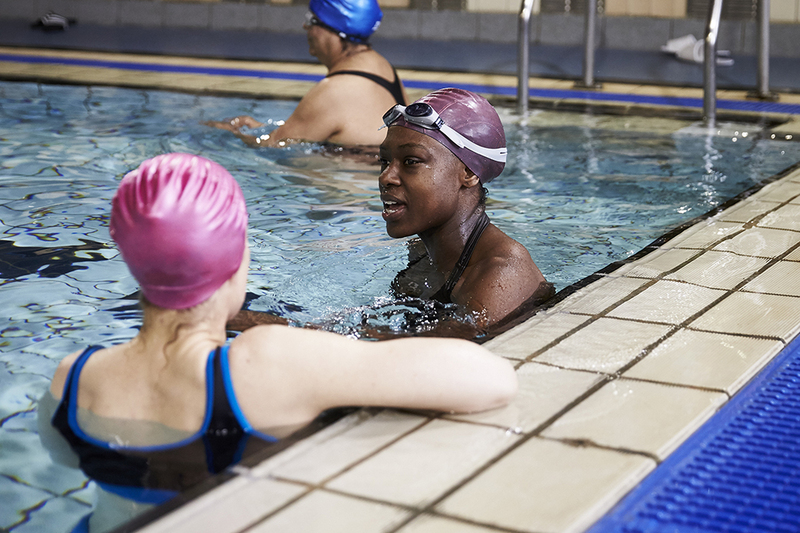 We have a Dementia Friend available throughout the public swim session to guide participants to the changing rooms, meet them on poolside and to suggest activities for participants to try in the water. Pain reduction, better balance, an increase in functional capacity and fitness. Improved confidence and ability to concentrate. Improved water confidence, swimming ability and physical activity levels. For carers, the opportunity to socialise with other carers, share experiences and springboard to other social opportunities. The session costs £3.10 and carers go free. Participants will receive a FREE centre membership when they register at Reception for their first session. If you think your footballing days are over then think again! Come and join one of weekly pay and play Walking Football sessions at the Angel Centre - great for keeping fit, learning new skills and for socialising. There are two sessions on offer, one for the total beginner and the other for those interested in faster play. Ideal for men and women over 55, although everyone is welcome. The rules are based on the format provided by Kent FA. Please wear indoor trainers, shorts/tracksuit bottoms, t-shirt and bring water. Come and join our successful 'Here Come the Girls' running group, taking place each week at Larkfield Leisure Centre and Tonbridge Swimming Pool! The sessions are FREE, friendly, supportive and for complete beginners. The group meets in the cafe of Larkfield Leisure Centre and at Tonbridge Swimming Pool. The ladies taking part are friendly, fun and run at various paces. Come and join us! Please arrive 5-10 minutes early on your first session to complete a registration form and to discuss your physical activity level/experience with your run leader. Running is an incredibly effective way to lift your mood, get fitter and make you healthier. And you can do it anywhere, anytime and it's fantastic for burning calories. Running can actually help lower your risk of breast cancer, of having a stroke, high blood pressure, chronic illnesses and type 2 diabetes. Not all the benefits are physical, regular running can boost your confidence and self-esteem, help you sleep better, meet new people and leave you feeling more energised, focused and happier. "The Here Come the Girls link appeared on my FB feed just after I was told I had high cholesterol. Running is tough for me because I suffer with fatigue following 4 years of chemo treatment. Although I am in remission I still struggle with my energy level. 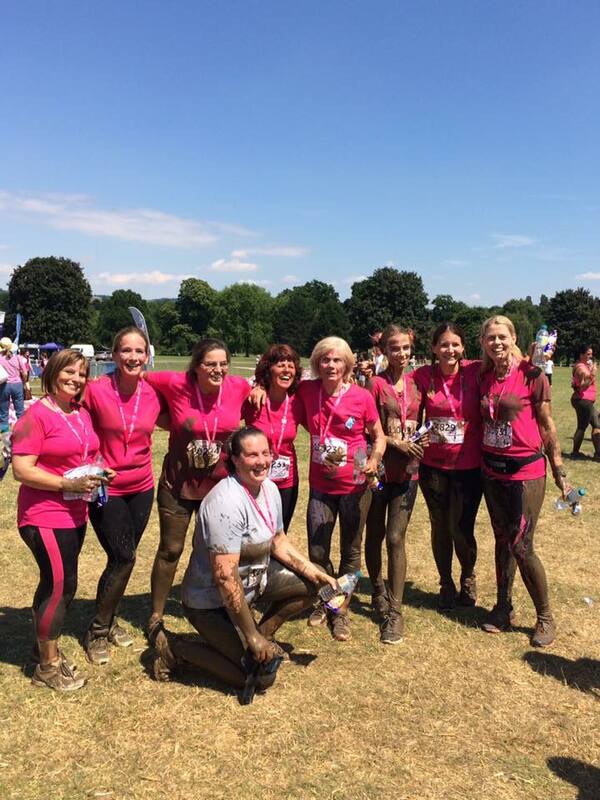 "I am really enjoying the running group and I know that without it I would not be doing it - it is lovely to meet up with others and especially to have your encouragement and tips. Also the fact that it is free is a real big bonus. Behind the incredibly inspiring This Girl Can campaign, our supportive, friendly, female swimming sessions are designed for EVERY women. Swimming is a fantastic low impact exercise that strengthens and tones major muscle groups within a woman's body. When you swim, you are benefiting the body and the mind and what's more, our poolside activator will be on hand to ensure you have fun in the water. Come on in! You can feel at ease in our female only swim lane, where you can swim at your own pace. Whether you are new to swimming or returning to the pool, this session is for you! On the second Tuesday of every month, our dementia-friendly Golf Mornings take place at Poult Wood. Sessions run from 11am and include a round on the 9 Hole Course, tuition on the driving range and coffee/tea in the Bar after the game. The morning cost just £6 per person and carers go free. To sign up, or for more information please contact David Copsey - Poult Wood's Head Golf Pro - on 01732 364039. 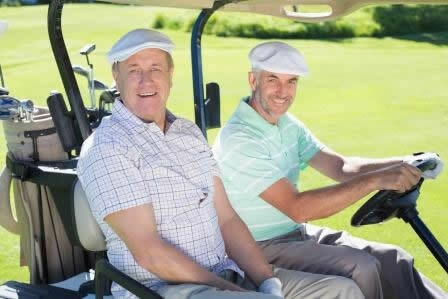 Looking to the future, tmactive is also looking to recruit Golf Buddies for future dementia-friendly events. Those volunteering will get to play the course for free. Again if this is of interest to you, please contact our Head Golf Pro.